How about an old fashioned chocolate chip cookie. Yeah, that sounds perfect! The chocolate chip cookie was accidentally developed by Ruth Graves Wakefield in 1930; a very happy accident if you ask me. She owned the Toll House Inn, in Whitman, Massachusetts, a very popular restaurant that featured home cooking in the 1930s. Her cookbook, Toll House Tried and True Recipes, was published in 1936 by M. Barrows & Company. It included the recipe “Toll House Chocolate Crunch Cookie”, which quickly became a favorite in American homes. Wakefield is said to have been making chocolate cookies and on running out of regular baker’s chocolate, substituted broken pieces of semi-sweet chocolatefrom Nestlé thinking that they would melt and mix into the batter. They did not and the chocolate chip cookie was born. Wakefield sold the recipe to Nestlé in exchange for a lifetime supply ofchocolate chips. Every bag of Nestlé chocolate chips sold in North America has a version of her original recipe printed on the back. 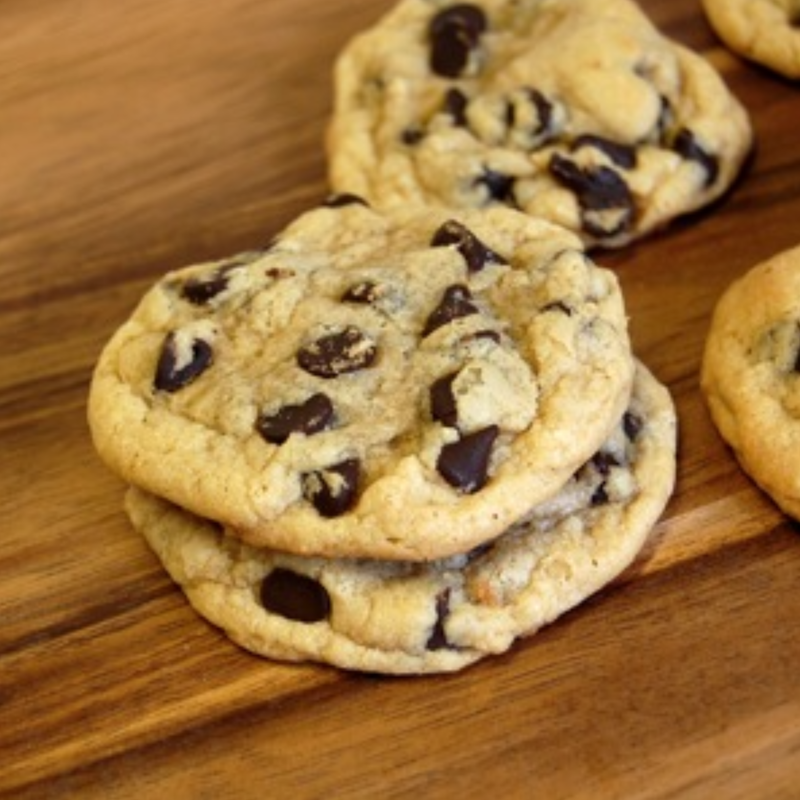 Here is my recipe for chocolate chip cookies, nothing fancy, but still special. Enjoy!! Cream together the butter, white sugar, and brown sugar until smooth. Beat in the eggs one at a time, then stir in the vanilla. Add baking soda and salt. Stir in flour, and chocolate chips. Drop by large spoonfuls onto ungreased pans. Bake for about 10 minutes in the preheated oven, or until edges are browned.